Your children’s school is the main factor that will make or break your child’s career. It is the school that grooms them for the society that teaches them how to establish their career in this fiercely competitive world. But choosing the right school is nothing less than daunting and intimidating. Whether you should go with ICSE, CBSE, or the government board is one questing that haunts every parent. CBSE schools have been constantly gaining recognition and superior rankings for some time in our country. The advantages of joining the top CBSE School in Howrah are huge and this has been attractive parents and students for some time now. Here are some of the reasons why you should join the top CBSE School in your locality. One of the main issues that students face today is massive stress and pressure, with a super intensive course and a huge syllabus. The excessive pressure does nothing more than depressing and tiring the students. CBSE course is more student-friendly and does not create unnecessary pressure or stress on the students. The interactive books are created in such a way that they remain interesting and do not get bulky. The process of teaching students should not be a burden, either on the students or on the teacher. CBSE makes studying more fun and games. The CBSE exams are conducted in a unique and eccentric way so that students cannot just mug up and write the answers. It is created to genuinely test whether the students have actually learned what was being taught to them. This way ensures the student’s involvement and the results are almost always found favourable and superior to any other course. The environment is strictly kept to instil as much confidence and personality into the students as they can. 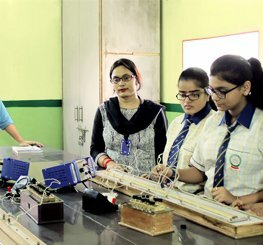 Th students that pass the schooling years from CBSE School in Howrah are more present and confident to fight the world and establish their footprint. CBSE schools provide ample opportunity to the students to pursue any field of study that they are interested in. The choice to pick their favourite stream of further studies gives them a clear picture of their envisioned future. CBSE encourage the students to follow their passion and works towards fulfilling their goals. The responsibility to choose their future at an early age also prepares the students the skill of decision-making. CBSE schools are much better and competent in producing a well-rounded student with confidence, superior personality, and skills to live in the community. 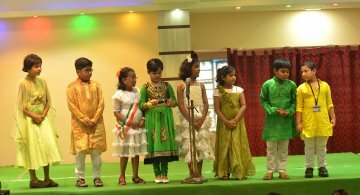 Searching for the best school in Howrah often accounts to be tedious for the parents as they want to provide best to their kids. Schools excelling at academic only are nowadays not considered to be the best rather the search enhances towards schools that have to strengthen both academics and co-curriculum activities. In the same attempt, often parents go after the name of the school, irrespective of the distance. A lot of time is being consumed in travelling, thus hardly leaving any time for the little ones to spend for themselves. This can lead your little ones to suffer from depression with lesser skills for socializing with other habitats of the society. 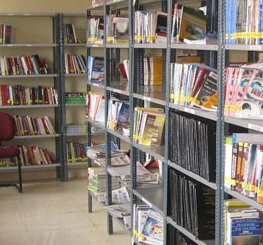 If you are staying in Howrah, it’s better to search for the best school in Howrah, rather going far off. Once being settled down with the location, now the turn comes to choose the ideal school for your kid. In this digital era, every school has its online presence. You can definitely search over the web to find out the facilities provided by the individual school. After completion of the search, you will be left with schools that provide best for your kids. With the handful of schools, you can now definitely take out some time from your busy schedule to give a visit to each school personally. From the web search, you pretty confirm with the facilities that the schools are providing to your kid. It’s now time to know about the other aspects of the schools especially the hygiene, the teaching and non-teaching staff, and the care that your baby needs at school. Only your physical visit can make your search successful. At the end, you will be left with the best school in Howrah that can provide the best development to your kid. Make this search beforehand so that you don’t miss out the time for the admission form. Before submitting the form, fill up the form with the information and documents needed. Dates are given for interview that asks for the presence of both the parents and the kid. On passing the interview session, you are free to let your kid get admitted to the best school in Howrah. Schools are no more regarded as the place responsible only for the academic development of any child. Days are gone when schools are being chosen based on the opinion from friends, academic results, budget or distance from home. Rather, parents are more concern on choosing the best fit for their little ones that work on the overall development of the child. Today while choosing the school, parents rely more on research that can be offline and online. Many searches are done on the schools that focus on the overall development of the child that is academic activities and co-curriculum activities. As the mindsets of the parents are gradually changing so do more schools are focusing on engaging more extra-curriculum activities in the school syllabus. Extra-curriculum activities are also being considered as the stress busters that minimizes the education stress. From the beginning of the schooling (I am talking about Montessori level) where the little ones get their first lesson, to share and to act wisely outside their comfort zone. By indulging activities in the school, they are making the education procedure simpler and interesting. If you had happened to visit the best school in Howrah, then you must have noticed the efforts made by school towards making the little one the responsible citizens of tomorrow. The school is the first place where the students come out from their comfort zone and interact with the outside world. They learn to share things with their friends, talk to the unknown in a more mannerly way. Thus, the school helps in establishing a social bonding with the society they are likely to grow in. Through various activities, children are being taught about their responsibility towards the society. 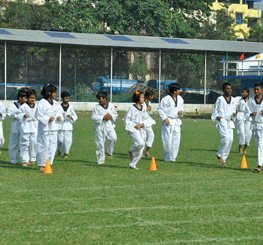 English medium school in Howrah are giving much focus on the sports and the fitness activities along with the academic part. Schools help in identifying the capabilities of the students and directing them towards the best-suited path. By knowing the negative points in any child, schools help in directing them a positive way. The school encourages the students to bring out the best from them. School in Howrah are making their much effort in encouraging the students in all possible way. 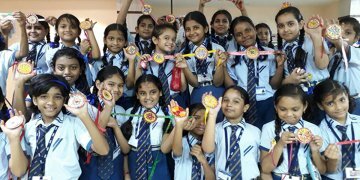 If you find out some time from your busy schedule or looking for the best suited for your child then get some time and visit the school in Howrah.